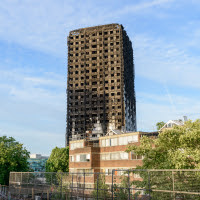 The consultation will look at restricting or banning the use of ‘desktop studies’ as a way of assessing the fire performance of external cladding systems and comes in the aftermath of the Grenfell Tower fire in London in which 71 people died. Housing Secretary Sajid Javid said that the revisions come directly as a result of the recommendations made by Dame Judith Hackitt in her interim report from the review into building regulations and fire safety published last year. He explained that the Government is also going further by asking whether ‘desktop studies’ should be used at all for construction products, wall systems (cladding) or for any other purpose. If ‘desktop studies’ are deemed appropriate, the proposed changes include improving the transparency of assessments, enabling proper scrutiny of results and ensuring that the studies can only be carried out by properly accredited bodies that have the relevant expertise. ‘We have listened carefully to Dame Judith Hackitt and we are taking action to strengthen building regulations guidance, which could mean that the use of desktop studies are either significantly restricted or banned altogether,’ said Javid. ‘This demonstrates the tough measures we are prepared to take to make sure that cladding tests are as robust as possible and people are safe in their homes,’ he added.